I’m not a fan of winter. There is nobody more excited than I am to see those first signs of spring, like the appearance of crocus. They pop up, and then I know I’m down the home stretch. It is at this time that I can also begin planning my vegetable containers. 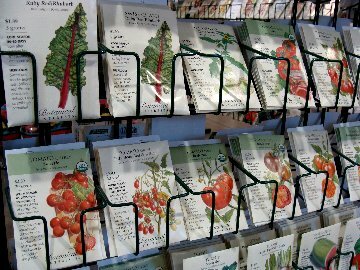 Part of my planning is deciding which vegetables I should start from seed. 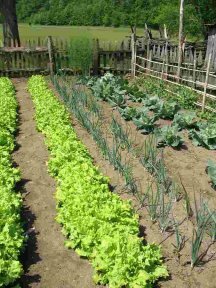 During these early months before spring is also the time that you should begin planting many of the summer vegetables you want to start from seed. Some seeds should be started indoors. There are others that you will be able to plant directly outside into the ground. Follow these simple steps to sprout all sorts of tasty treats this coming season. Something to plant in – peat pots, planting trays, and peat pellets work best. Just make sure the container drains well and is large enough that it will not dry out between watering. Seedling potting mix – you will want to use a potting soil that is designed for starting seeds. Fertilome seed starting soil is the perfect medium for germinating seeds. The mix is designed to promote better root development in young plants. Seeds – there are so many to choose from. For most varieties, plan on growing 6-8 weeks indoors, but check packet directions for accurate growing times. Also, check the packet to see if pre-soaking is recommended. Some seeds are recommended to be sown directly into the ground, so make sure to read the directions. A place to grow – seeds need a warm place in order to germinate. After they sprout, sufficient light is critical. A sunny windowsill works fine, as long as it is not too hot or cold. A cover – if your planting tray did not come with a clear plastic lid, you can use plastic wrap to cover your finished tray. Spray bottle – you’ll want a spray bottle to be able to mist your soil to keep it moist. Now you are ready to plant seeds. Follow these easy steps for success! Fill your planting tray or peat pots with seedling potting mix. Pre-moisten the mix with clean water. Peat pellets are fun to use if you have young children. When you add water the peat pellet transforms from a flat disc to a tall self watering pot. Place your seeds in the soil. Larger seeds can be planted individually into the tray or peat pot. Smaller seeds can be very difficult to see. Sprinkle 3-4 seeds over the soil in each pot. Press in or lightly cover the seeds with potting mix. Do not cover them deeply with soil. Cover your planting tray with a clear tray lid or with clear plastic wrap. You can also place plastic wrap over the tops of individual pots if you don’t have a tray. Place the tray or pots in a warm spot out of direct sunlight. Make sure that your soil remains warm and moist. When the seeds begin to sprout, remove the plastic wrap. Turn the tray every two days to keep the plants growing straight. Plants will always grow toward the sunlight. 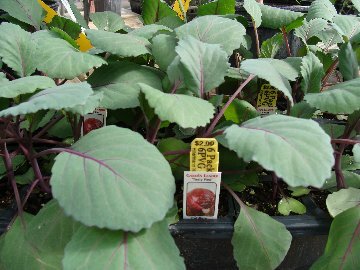 Thin or transplant the seedlings when they get 2”-3” tall and have developed true leaves. This should happen after about 2-4 weeks. Thinning is done by gently pulling up the young plant or pinching off the stem. Transplant them to slightly larger containers to allow the roots to continue to develop. Lift seedlings carefully by digging them out with a fork or spoon, taking care not to disturb the tender roots. Keep transplants out of direct sun for a couple of days to prevent wilting. Feed with a liquid soluble plant food diluted to half strength and remember to keep your soil moist, but not soggy. When the danger of frost has passed, transplant your seedlings into the garden, but they must first be “hardened off”. Set the tray outdoors in shade for 2-3 hours a day, slowly exposing them to full sunlight. After the week is over, transplant the seedlings into the garden. Remember to use a transplant fertilizer when planting them. Planting seeds outdoors; after danger of frost has passed (generally May 1st in Franklin County, MO), there are many seeds you can plant directly into the ground. To begin, choose a spot that gets plenty of sunlight and where the soil drains well. Prepare the soil by raking the area clear of leaves and other debris. Dig the garden to loosen the soil down to about 12.” Add a transplant fertilizer at this time. Make planting rows with a garden trowel or a pointed object, like a pencil to make indentations in the soil. Some seeds like cucumbers may require you to make the soil into mounds to plant the seeds. Plant the seeds according to the spacing directions on the back of the seed packet. Large seeds can be planted individually. Some seeds, like carrots are quite small. These smaller seeds can be mixed with a bit of sand and sprinkled over the area. You will want to read the directions on the seed packet to know how deep to plant the seeds. Attach the empty packet to a stick at the end of the row if you wish to identify what is planted there. Water the area with a gentle flow from a watering can or hose. Be careful not to shoot the seeds right out of the soil with too strong of water pressure. Keep the garden moist (not wet), until the plants are up and growing. Whether planting a seed straight into the soil or planting a transplant, don’t forget to bait for slugs. They will feast on our young plant before the plant grows big enough to feed you! Plus, keep a photo journal or a log of the weekly progress in your garden. Once the sun decides to finally return you’ll be surprised at how quickly your tiny little seedlings start mature and you can begin to harvest the fruits and vegetables of your labor. Now, have fun planning for spring!